Fitting Tape is a cloth tape specifically designed to modify release, ease grip tension and/or adjust hole size without making major changes to ball drilling. If you suffer from increased swelling while you bowl, Fitting Tape could be an ideal solution. No more fidgeting with taking pieces of tape in and out of your ball. Simply apply the tape to your fingers or thumb prior to bowling and remove as you swell. 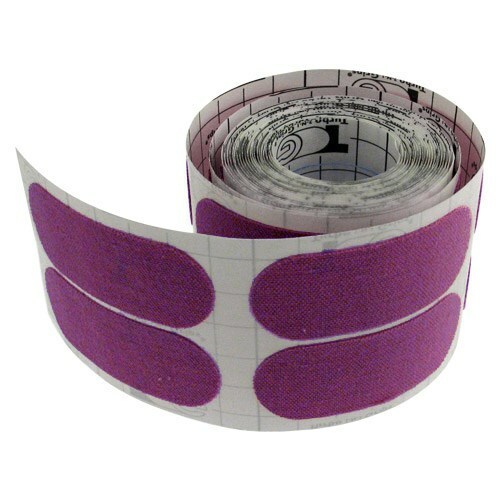 Due to the time it takes to produce the Turbo 1" 100 Pre-Cut Fitting Tape Purple ball it will ship in immediately. We cannot ship this ball outside the United States.